We created a short presentation in which we summarize our objectives, aims and issues we care about. We encourage you to contact us with your project ideas and partnership proposals. 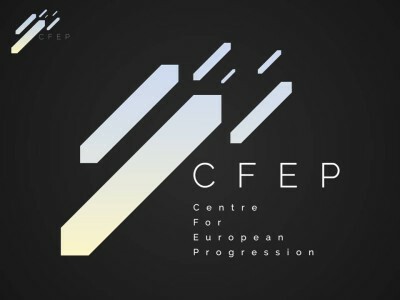 CFEP would like to give an opportunity for young European professionals to express their ideas and opinions about our common future. We plan to have at least three presenters in each event talking about a special topic concerning the EU. Although this event-series is dedicated to the young generation, CFEP does not want to exclude the more experienced experts. In addition to this we would like to provide a pleasant environment for networking after the presentations. 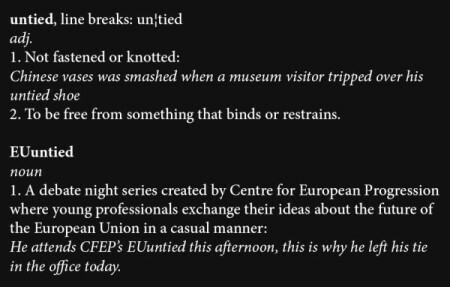 The main concept about EUuntied is to create an event for young eurobubble workers where they can meet each other, talk and debate about the EU in an informal and casual way.